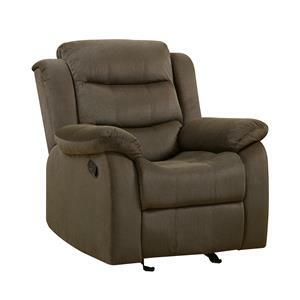 Relax in plush, cozy comfort when you welcome this casual recliner into your home. Generous padding throughout, this piece features overstuffed pillow arms and headrest as well as channeled seaming and a Kool Gel cushion that creates the sink-in effect you've been dreaming of. 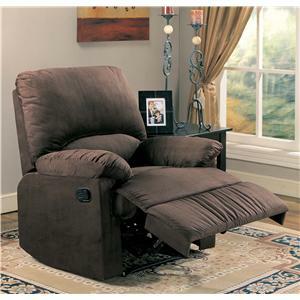 Complete this piece with your choice of fabric or leather cover for a recliner that truly captures the look you're after. 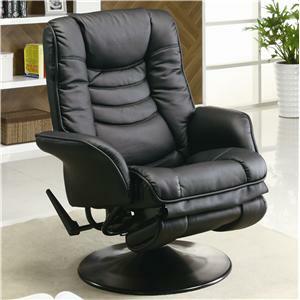 This recliner is available in manual or power recline with rocking and swivel rocking options. All power models feature USB port. Upgrades to power headrest and power headrest with lumbar available. 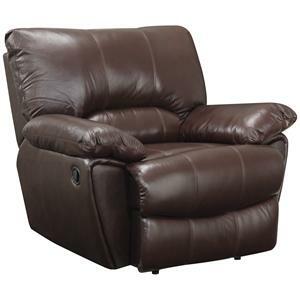 The Melville Casual Rocking Recliner with Extended Footrest by Klaussner at Value City Furniture in the New Jersey, NJ, Staten Island, Hoboken area. Product availability may vary. Contact us for the most current availability on this product. Fabric Options Available in a variety of leather options. 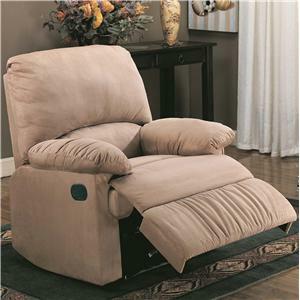 Base Description Footrest is 3 inches longer than your standard recliner, making this piece perfect for tall users. 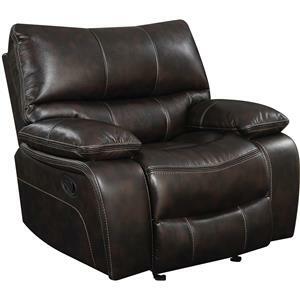 Designed with a focus on plush comfort, this collection of reclining furniture has exactly what you need in your casual living room, family room or man cave. 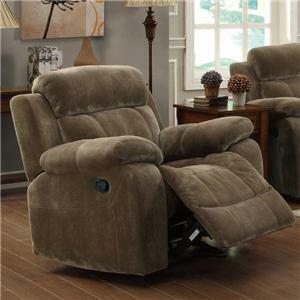 Each seat offers ultimate comfort with contoured seaming and conforming Kool Gel cushions that hug your body as well as overstuffed headrests for neck support. 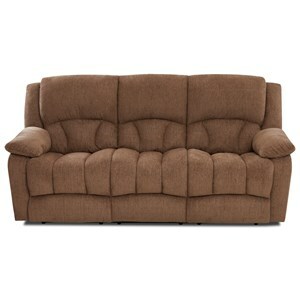 Made in America and available in your choice of fabric or leather color, this collection is a must-see. The Melville collection is a great option if you are looking for Casual furniture in the New Jersey, NJ, Staten Island, Hoboken area. 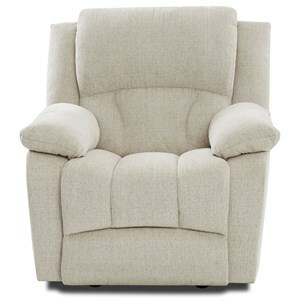 Browse other items in the Melville collection from Value City Furniture in the New Jersey, NJ, Staten Island, Hoboken area.